The discovery of "Railway Knitting"
Hi folks! Here's a small adventure that happened to me that I'm gonna tell you about, mainly because it brought me to a really interesting discovery. 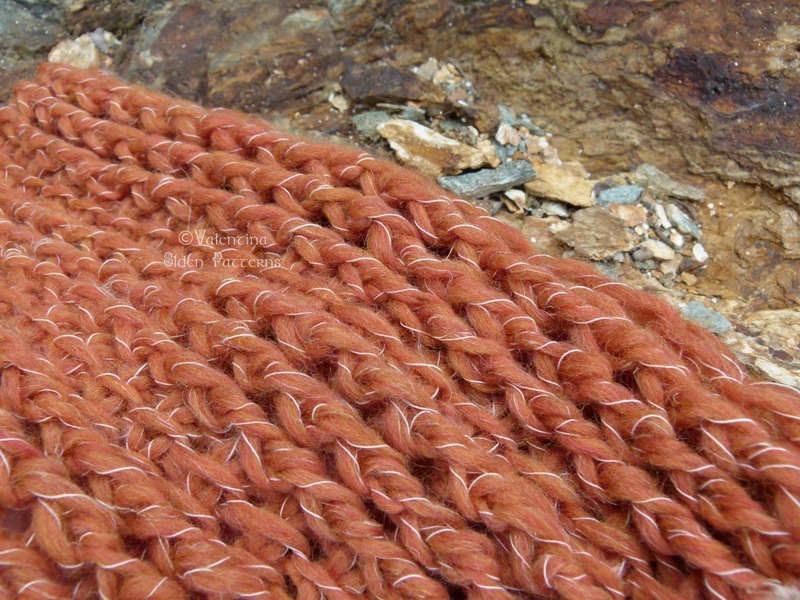 Some days ago I received a message on Ravelry from a lady who's made her own Tunisian crochet version of the "Pfeilraupe" scarf. She sent me a picture to show me her work, which was simply stunning: she managed to recreate the exact shape of the knitted one, with marvelous use of short rows, plus in honeycomb stitch, which I love (you can check out her project page here). We exchanged a few messages, and by checking her profile I discovered that I was talking to Dela Wilkins! When the sudden feeling of being a complete idiot for not recognizing her before was gone, I felt (and still feel!) SO privileged: a famous teacher, a published author, took time to write ME about an item we both tried to make in TC. Well, of course I did some more searching and found that Dela's book on TC, "Railway Knitting Workbook", is available asdigital download on publisher's website and is incredibly cheap! I immediately bought it, read it during the weekend, and let me tell you what I told her: I wish I had found this book when I was learning TC. It's a complete handbook that gives the reader lots of great advice on a technical level, from the ways of making a starting chain on, including tips on shaping, choosing stitches, and such. I found lots of helpful ideas even if I'm not a beginner, so I would really recommend it to anyone interested in TC, but especially if you are an absolute beginner go and buy Dela's book without giving it a second thought. Dela is a teacher, so she knows how to explain things from the start to people who have never hold a hook in their hand before. Also, she's used to having non-native speakers on her train classes, so as she told me she wrote the book in Grade 6 English, very clear and easy to understand even if English is not your main language. Great, great book that deserves to be known by more and more people! Oh, and in case you were wondering: "Railway Knitting" is one of the many names used for TC in ancient times, between the 19th and the 20th century, maybe because the look of the Tunisian simple stitch somehow reminds of a railway, maybe because ladies used to work at their items during train trips... nobody knows for certain, as usual when it comes to TC, but it's a fascinating name nonetheless, and since Dela teaches on trains particularly apt for her work. OOOh thank you Valentina - I've put the book on my Christmas list! 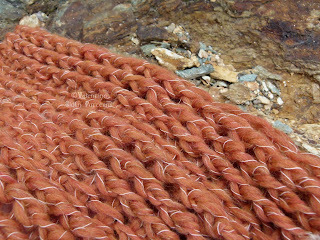 Love the autumnal colour of your new cowl.